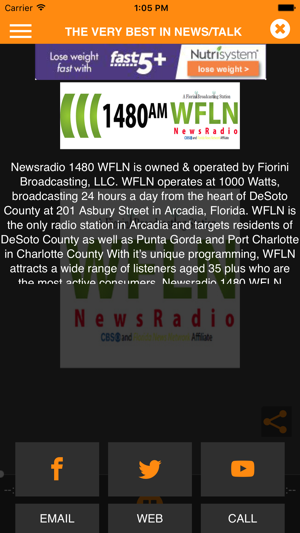 WFLN News Radio 1480 is Arcadia's only radio station serving Desoto, Charlotte, Hendry, and Sarasota County. 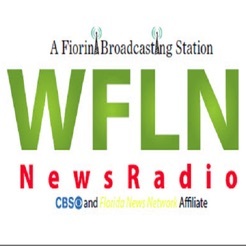 WFLN IS OWNED AND OPERATED BY FIORINI BROADCASTING LLC AND OPERATES AT 1000 WATTS 24 HOURS A DAY FROM THE HEART OF DESOTO COUNTY AT 201 ASBURY STREET IN ARCADIA, FLORIDA (863) 993-1480). 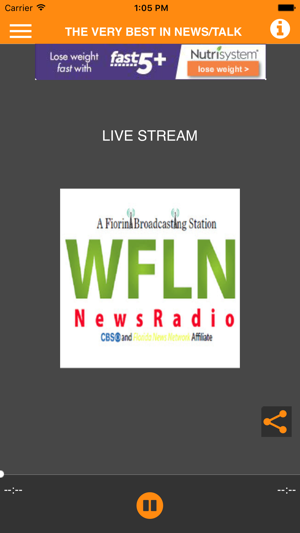 WFLN IS THE ONLY RADIO STATION IN ARCADIA AND TARGETS RESIDENTS OF DESOTO COUNTY AS WELL AS PUNTA GORDA AND PORT CHARLOTTE IN CHARLOTTE COUNTY. 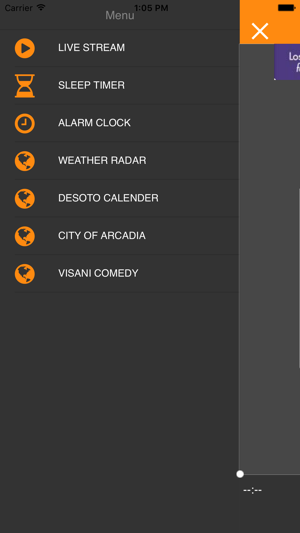 WITH IT’S UNIQUE NEWS/TALK FORMAT WFLN ATTRACTS A WIDE RANGE OF LISTENERS 25 PLUS WHO ARE MOST ACTIVE CONSUMERS. NEWS RADIO 1480 WFLN DELIVERS NATIONAL NEWS FROM CBS AS WELL AS REGIONAL NEWS FROM THE FLORIDA NEWS NETWORK ALONG WITH UPDATED WEATHER FORECASTS. WFLN IS HOME OF TAMPA BUCS FOOTBALL, ORLANDO MAGIC BASKETBALL AS WELL AS RUSH LIMBAUGH, SEAN HANNITY,LAURA INGRHAM, ALAN COLMES, AND DAVE RAMSEY. OUR VERY OWN JACK WELCH STARTS EACH WEEKDAY MORNING 8-10AM WITH THE BEST IN HUMOR, NEWS AND LOCAL INFORMATION.